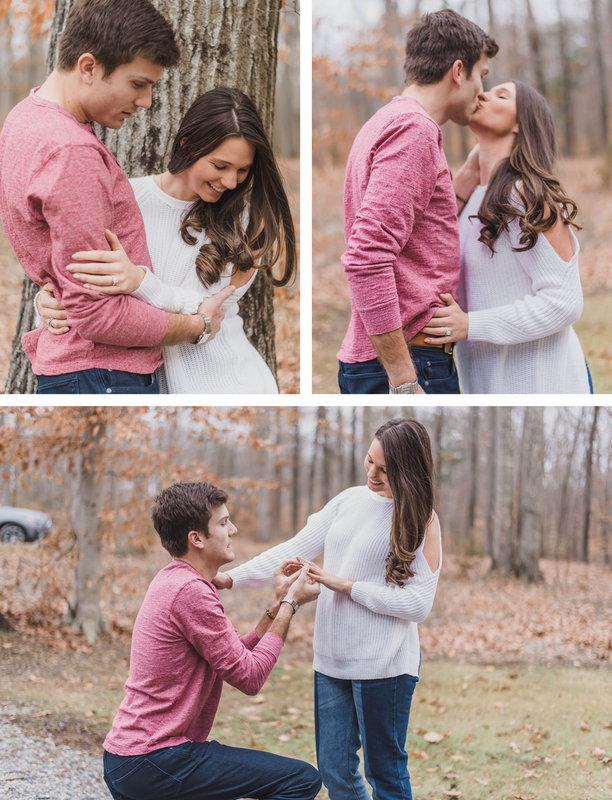 Every little girl dreams about the day they will get engaged, and for the most part, this was a picture perfect proposal on a lake in Virginia. Evan spent about 4 months prepping for the big weekend. He knew that he wanted all of their closest friends and family there to be a part of the memories. The best part is that Haley was completely surprised! She was convinced that the "big weekend" was going to be over St. Patrick's Day on a trip to Savannah. Evan disguised this trip as a low-key weekend with some of their medical school friends to celebrate matching. When they pulled up to the house (a much larger one than the house originally communicated to her), and she realized what was going on, she was so overcome with happiness that she ended up tackling Evan to the ground. Then, as if that surprise wasn't enough, out pours about 17 of her friends and family (much more than the 4 she was expecting) to greet the newly engaged couple. I think some of her first words after getting proposed to were, "But I didn't even get my nails done!" You win, Evan. Surprise success. I'm also SO thrilled to debut some of my first images using the Light & Airy presets for editing! I absolutely love how the final results turned out and can't wait to implement these in my shoots going forward.